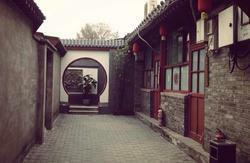 Beijing Super 8 Hotel-Wangfujing Area(Formerly Beijing New Dragon Hostel) is in the famous remaining Hutong Area and right in the Heart of downtown Beijing and so close to the local people that you can look very deep into their life. CONVENIENCE: A short two-minute walk from the bustle of Beijing's vibrant city life, The Beijing Super 8 Hotel-Wangfujing Area offers very close proximity to the main sightseeing and shopping attractions in Beijing's downtown core, including Tiananmen Square, The Forbidden City and Beijing's ultra-modern stores and older, traditional open-door, street-side shops and stalls. Only 1.5 kilometers from Beijing's main railway station and a 32-kilometer taxi or bus ride from the airport, The Beijing Super 8 Hotel-Wangfujing Area can be reached quickly and inexpensively, in about 20 minutes and for about 100 RMB [approximately $12 US @ 6RMB/dollar]. 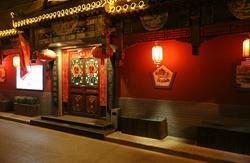 The New Dragon Hostel also offers its guests 24-hour access. AMBIENCE:The Beijing Super 8 Hotel-Wangfujing Area is a quiet, spacious, clean, comfortable, private and well-serviced facility---with the added bonus of being on a well-shaded, colorfully festooned, tree-lined lane that has preserved the feel of historical Beijing. CHARM: Architecturally, The Beijing Super 8 Hotel-Wangfujing Area exemplifies traditional Chinese design, from its classic tiled roof to the cherry-red columns flanking its entrance----harmonizing superbly with the older, heritage and traditional buildings and homes along the quiet street on which it is located. PEACE OF MIND:In addition to security features within each room, The Beijing Super 8 Hotel-Wangfujing Area Hostel has 24-hour staff service and supervision at reception and on upper floors. - - Telephone (70% discount for international calls) & Fax ,Local Call for free. --Take a bus No 9 , get off at Chongwenmen station, then transfer to bus No 106 or 110 to Dengshikou station. Notice: If you have any problems or get lost, please phone us, we can told the driver how to get to the hostel. 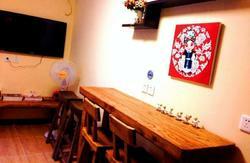 Any way thanks for your choosing Beijing New Dragon hostel to stay , hope you enjoy to stay here .